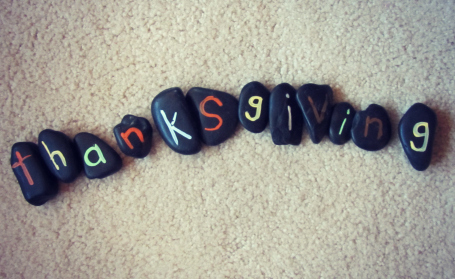 Last week when I published our Thanksgiving Spelling Stones I promised that I had another simple activity to do with the stones. This is it. It was a rainy day ( can you tell by the not so great pictures?) but I wasn’t ready to turn the TV on yet. This simple game got them moving, playing together , and working on their own levels at the same time. 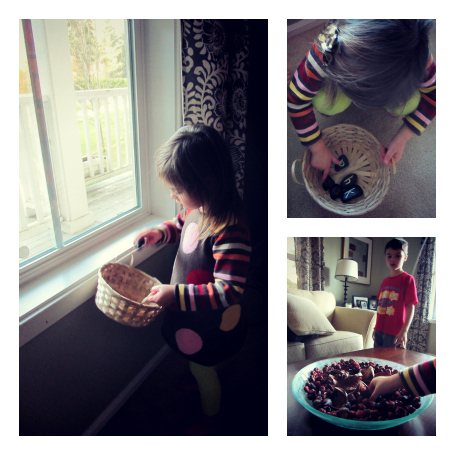 I will be making many more sets of these stones to do this activity and others throughout the year. 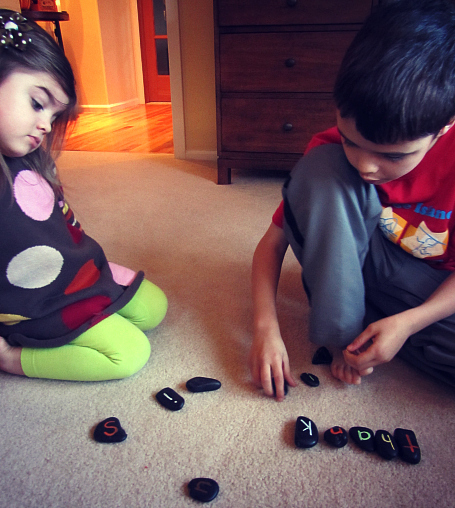 To find out how to make the stones themselves check out our spelling stones tutorial. Gather your materials. You will need spelling stones and somewhere to hide them. 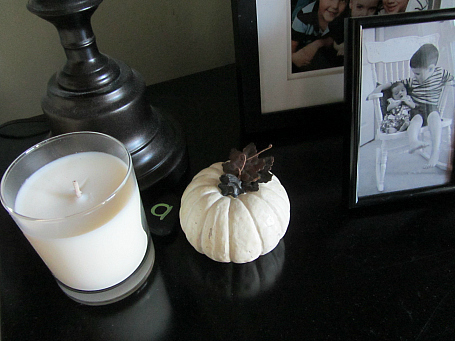 I hide some in plain sight and others in tougher spots. My son knows to leave the easier ones for his sister although I think those days are numbered. She is a good hunter! 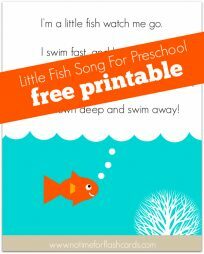 Before your kids start searching. 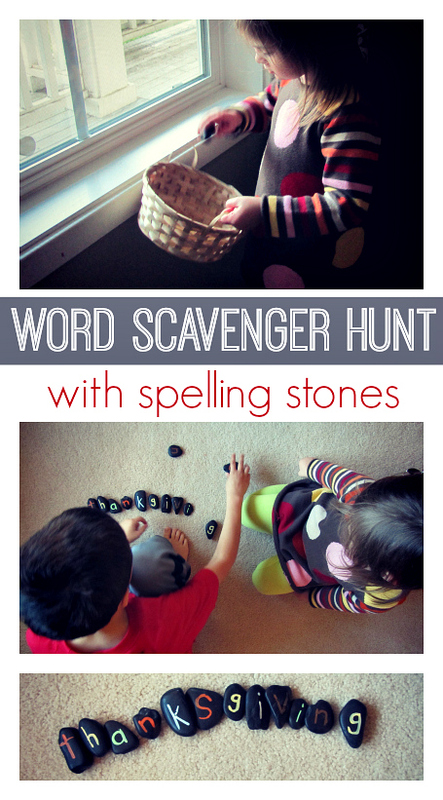 Tell them the word / words you will be spelling and how many stones total they are searching for. This helps sneak in a wee bit of math. Start searching! These dark stones blended in nicely in our living room. Do spot checks to see how many stones you have found. 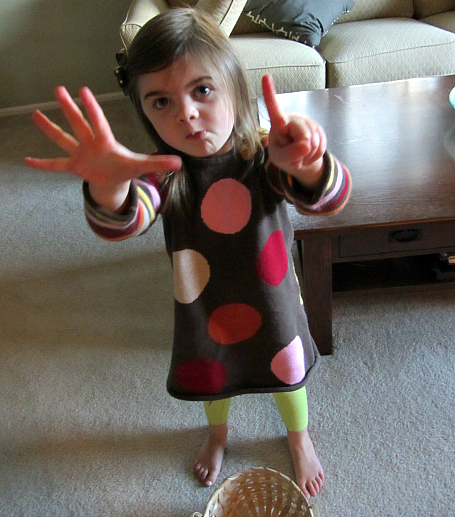 My daughter counted and then I turned it into a math problem for my son to figure out how many more we were looking for. 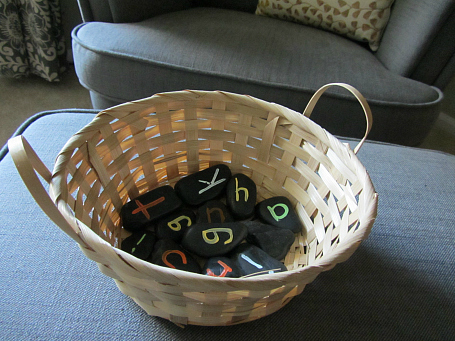 Once all letters are in the basket start piecing together the word. At first my son started doing this step all by himself but I asked him to slow down and ask his sister to find him the letter he needed to spell from the bunch. 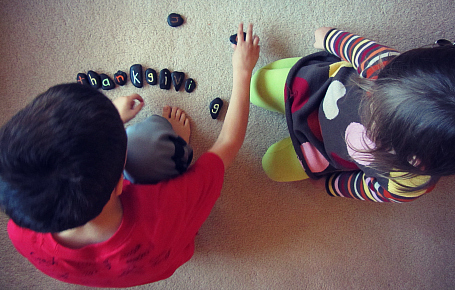 This let him work on spelling and gave her a chance to work on letter recognition. 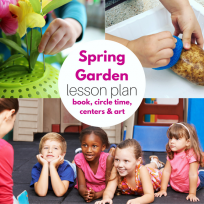 Told you it was simple, but hopefully I showed you how many little tidbits of learning you could fit into it too. 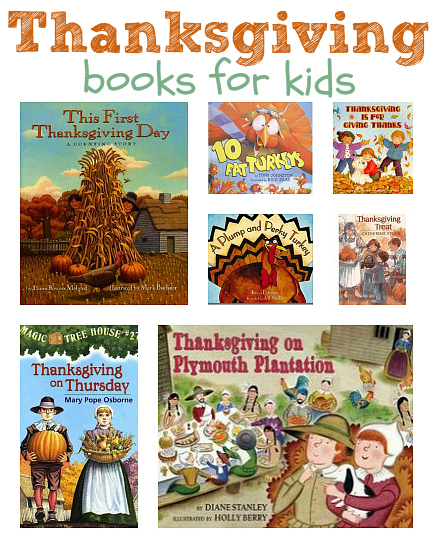 Check out some great Thanksgiving Books For Kids. 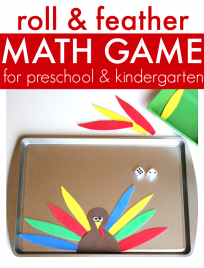 Previous Post: Thanksgiving Math For Kids – Fact Families and More!